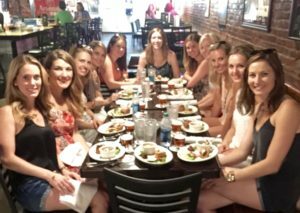 Nashville Food Tours – Roll with the Foodies!  Header button label:Eat! Drink! Explore! Eat! Drink! Explore! 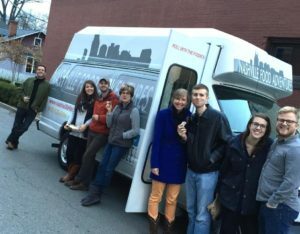 We offer two types of tours - Bites & Sites walking tours, or Nashville Food Adventures driving tours. We also create custom food tour experiences! Click on one of the photos here to learn more! Learn about the history and current culture of the area while you sample tasty meats, baked goods, traditional and modern dishes and the occasional cocktail or local beer – all with the company of a fun local guide and a small group of adventurous foodies. 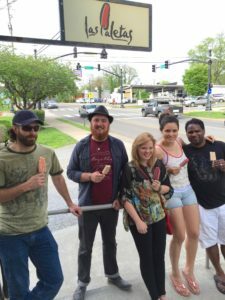 Take a stroll through one of Nashville’s historic neighborhoods and sample artisan foods created in small neighborhood shops. Looking for a special adventure? We’re happy to work with our partners around town to put together a progressive dinner party, specialized tour, photo safari, or any type of adventure you can imagine! 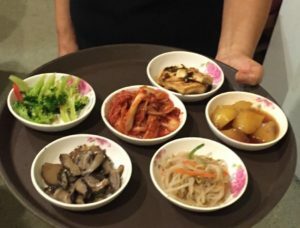 Whether you’re visiting alone, celebrating a special occasion with a small group, or relaxing with a large group, one of the very best ways to explore is through a Food Tour! You'll share an interesting multi-course meal coupled with narrated sightseeing and a fun local guide. 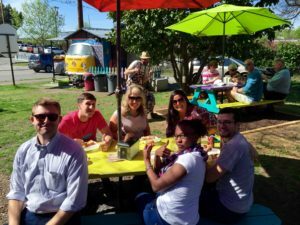 Our tours visit 5 different eating and drinking places, showcasing Nashville’s quintessential foods while sharing some of our favorite landmarks, neighborhoods, and cultural insights. On our driving tours, guests can BYOB on the bus for an added social element. There aren’t a lot of events that offer a better social, relationship-building experience than sharing a new city, its food, and a good drink or two together! How will you tour today? 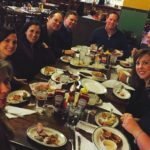 We offer public food tours most days of the week, and private food tours for groups from 2 to 100. 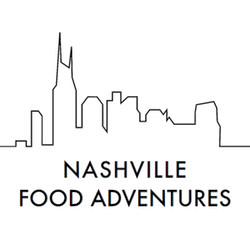 They’re a fun and social way to explore the best of Nashville’s neighborhoods, landmarks, and amazing food and drink. Your Tour, Your Schedule! Learn more here. 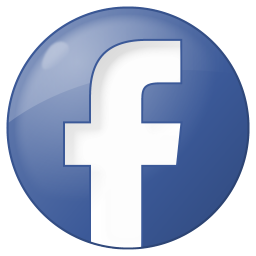 - click link icon below. 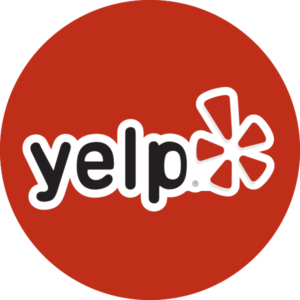 We're proud to be "5-star rated" by every major source. Wish we would have booked this for our first day here! If so we would've had all our favorite restaurants picked out for the week... Our first food tour and Cortney set the bar high for all of our future food tours and I am pretty confident no one will compete with her fun feisty fabulous Nashville knowledge!!!!! This is the BEST food, drink with a splash of history tour in Nashville! I promise you are in good hands with TJ as your tour guide, he truly spoiled us! He is really knowledgeable about the local food scene and happenings in Nashville! 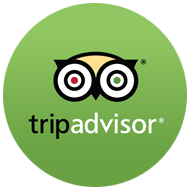 Each of the restaurants were exceptional, you won't leave hungry or thirsty. A must do for any foodie visiting Nashville. I LOVED this tour! 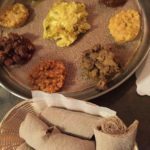 The food was amazing from start to finish, the van was comfortable and clean, our tour guides were knowledgable and funny and welcoming, and our fellow foodies that we met on the tour were fabulous! An unforgettable night and I have already recommended it to friends!!! We're excited to share Nashville with you, and promise to treat you like family while you're with us! 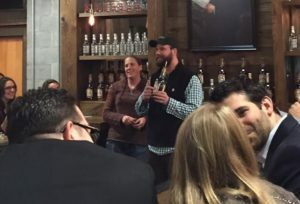 Read more Check out our new Brewery Tours!